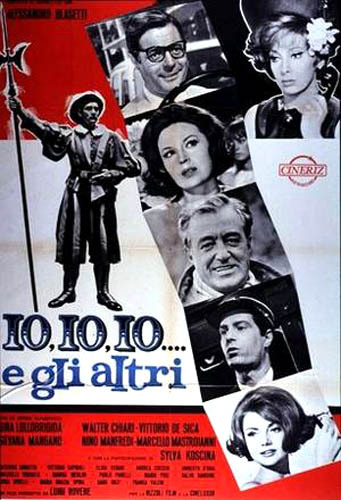 Starring: Gina Lollobrigida, Silvana Mangano, Walter Chiari, Marcello Mastroianni. Sandro (CHIARI) is a well-known journalist and he is conducting a survey on human selfishness. Every man and every woman he meets turns into a theme for his inquiry. Even his own wife, Titta (LOLLOBRIGIDA). But little by little Sandro identifies himself with the people he meets and the accusation against mankind changes into a confession to himself. And, after the death of his true friend Peppino Marazzi (MASTROIANNI), Sandro begins to consider again his own life.